Whether you are brushing up on your tactical shooting skills at the gun range, working on a welding project outdoors, or going for a ride on your motorbike, if you are a woman who is routinely being exposed to dangerous environments, it is necessary to have the right gear on to stay fully protected. And of course, some of the most important things that you want to protect are your eyes. After all, without them, you wouldn’t be able to participate in these activities, whether you do them for work or pleasure. In this post, we will take a look at a few of the most popular Wiley X Glasses for women. SG-1 Grey/Clear/Matte Black Frame: Let’s get the Wiley X glasses that aren’t necessarily even glasses out of the way first: the SG-1 Matte Black Frame Goggles that come with a grey and clear lens. Aside from the durable, sleek matte black frame and different lens shades, these protective goggles, suitable for all head sizes from small to extra large, come with a storage case, microfiber cleaning cloth, anti-fog wipe, adjustable strap, instruction card, and removable temples. The clear lenses are designed for low light conditions with a light transmission of 90%. Whether you are working outdoors or riding your motorcycle at night or while it is overcast, these Wiley X glasses will do an excellent job of improving your clarity on the road and keeping your eyes protected. These lenses can also be worn indoors without compromising vision. Secondly, the smoke grey lenses are designed to offer distortion-free vision and drastically reduce glare from harsh sunlight, making them ideal for wearing in bright, hot environments. Other appealing features of these high tech, protective goggles include complete UVA and UVB protection, anti-fog lens coating, scratch-resistant coating, and a 90 degree wrap back along with frames that are designed to get rid of tunnel vision. The lenses are also shatterproof and both meet and exceed the ANSI Z87.1-2010 High Velocity and High Mass Impact Standards. Nash Polarized Blue Mirror/Matte Black Frame: From their Active Lifestyle Series, Wiley X presents one of their most attractive glasses, the WX Nash sunglasses. Although the blue lenses are the most popular shade, other lens color options include grey and black. When you buy these Wiley X glasses, you receive a complimentary black zippered case, microfiber cleaning cloth, and leash cord along with rubber temple grips. The frames are ideal for long hours of motorcycle riding during the day or working outdoors when the sun is shining brightly. The lenses are designed with 100% UVA and UVB protection, distortion-free clarity, a scratch-resistant coating to keep vision clear and optimally protected when exposed to extreme environments, and polycarbonate material that offers incredible shatterproof benefits. The blue mirror (green) lenses are polarized, meaning they reduce glare substantially and absorb any reflections from the light. P-17 Polarized Emerald Lens/Gloss Demi Frame: Another option from the Active Lifestyle Series by Wiley X is the P-17 Polarized Emerald Lens/Gloss Demi Frame and these sunglasses are perfect for women who love a bit of flare and stylistic edge added to their eye wear. The gloss demi frame is constructed with polarized bronze lenses and the purchase comes with an ultra soft, microfiber cleaning cloth, t-peg strap, black zippered case, and leash cord with rubber temple grips. Lens colors vary from polarized emerald, grey, and polarized green. These Rx ready sunglasses are constructed with polarized lenses to increase contrast and provide optimum clarity for nearly all light conditions. The frames include a double injected rubber nose piece for greater comfort and non-slip security. 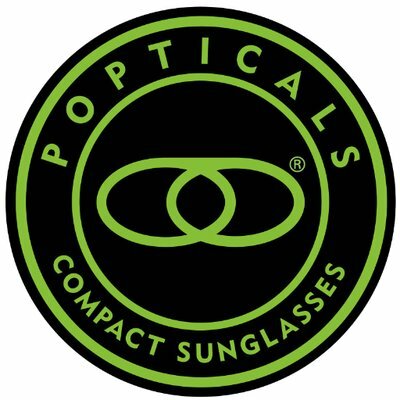 Other appealing features of these high end sunglasses include a T-Shell lens coating that offers scratch-resistance, 100% UVA and UVB protection, distortion-free clarity, and polycarbonate material that offers the highest levels of shatterproof protection. Sleek Grey Silver Flash Lens/Matte Violet Frame: From the Climate Control Series comes one of the edgiest, most popular options, the WX Sleek sunglasses. The frame color is a powerful matte violet shade and the lenses are an eye-catching silver flash/smoke grey color. The sunglasses come with a removable facial cavity seal for greater security and comfort, a soft, microfiber cleaning cloth, black zippered clam shell case, leash cord and rubberized temple grips, and an instruction card. Like other high end Wiley X sunglasses, this protective eye wear is RX ready, and comes with lenses that are shatter-proof and scratch-resistant. These sunglasses are ideal for bright conditions since the lenses come with 100% UVA and UVB protection and mirrored benefits to absorb reflections and reduce glare. Thanks to the removable facial cavity seal, you will never have to worry about irritants getting in your eyes such as dust, pollen, dirt, and other debris. XL-1 Advanced from Changeable Series: For the women that want a super sleek, no-nonsense look, this eye wear option from the Changeable Series is perfect. The glasses are designed with smoke grey lenses and a matte black frame, however the purchase comes with interchangeable clear lenses for various indoor and outdoor lighting conditions. Along with the sunglasses, you will receive a protective storage case, microfiber cleaning cloth, instruction card, and t-peg strap. Just a few of the high end features that these sunglasses include are anti-fog protection thanks to the Foil Lens Coating, shatterproof selenite, and t-shell lens coating that protects the lenses from scratches. The frames are designed with a foam gasket that is easily removable and super soft, making it extremely effective at keeping out dust, insects, harsh winds, and other debris. When you plan to do any work or riding outdoors at night or during extremely low light conditions, you can easily change your lenses to clear and enjoy 90% light transmission. When you are wearing the glasses in brighter conditions, wear the smoke grey lenses and enjoy views without any irritating glare or color distortions. Saber Advanced Grey Lens/Matte Black Frame: This is another incredibly popular eye wear option from the Changeable Series by Wiley X and is just as edgy as XL-1 Advanced sunglasses, but with its own unique qualities. These Saber sunglasses include multiple lens shade choices including advanced yellow, advanced rust, advanced grey, and advanced clear, as well as combinations of colors. These sunglasses come with several additions including a foam brow bar to absorb sweat and provide extra comfort, a nose piece, tactical strap, and microfiber fiber storage bag. 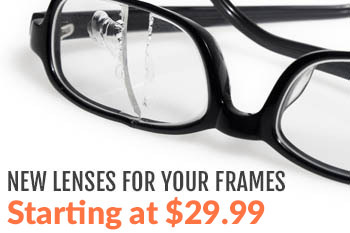 The lenses can accommodate any prescription for wearers who require corrective lenses. The lenses also effectively keep out the glare from harsh sunlight and minimize color distortion. The glasses can fit a variety of face sizes thanks to the telescoping temples that are designed for comfort and flexibility. Like other Wiley X sunglasses, this eye wear option includes 100% protection from harmful UV rays, scratch-resistance, and shatterproof protection. Anyone who purchases these Wiley X sunglasses will enjoy impeccable clarity in a variety of lighting conditions and complete protection from harmful debris and other irritants. And because of all of the other protective features, the lenses are kept safe from harm as well, thus extending their life. Looking for more information on the different Wiley X glasses available for both women and men? Don’t hesitate to contact us, check out our official website, or keep reading our other blog posts for more free resources!